This week was a marathon week – I had a business trip that should have been an overnighter in the Bay Area, however, I had bought a ticket to see George Strait on his “The Cowboy Rides Away” tour with the girls a while back. So, I ended up going to the Bay Thursday morning, flying back for the concert and then going back Saturday morning. It was worth every second. Martina McBride kicked off the show and was seriously amazing. She sounded exactly like she does on her albums – something that is very rare. She sang all of her big songs and was just really fun to watch. Then it was time for George. He was awesome. He sang a lot of his really old (think early 1980’s) stuff and still sounds fantastic. The stage was a great big square, and he made sure to sing at every side of it (changing sides every song or two). He even did a really fun cover of “Folsom Prison Blues”! 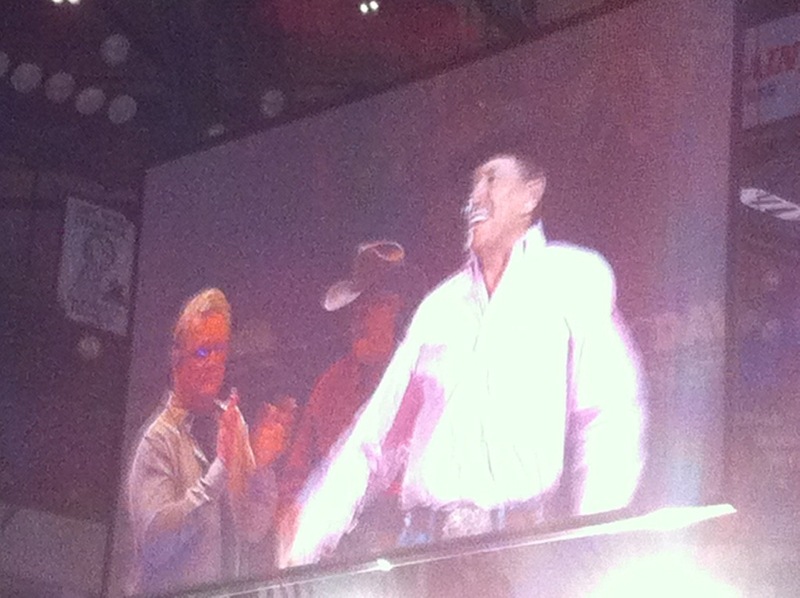 I’m so glad I had the chance to see George Strait on this tour. He’s said that he’s not done making music, but that he won’t tour again, so it was cool to have the chance to see him live!